A noted developer of educational tools makes the case for collaborative thinking and doing. MIT Press 2017, 191 pages. Throughout these pages, examples are drawn from Resnick’s work with the projects and community of Scratch, MIT’s free, online, coding platform, which invites users to “create your own stories, games, and animations.” Each chapter closes with interviews of people whose childhood participation with Scratch and Computer Clubhouses contributed to their current pursuits as university students, engineers, and computer science teachers. 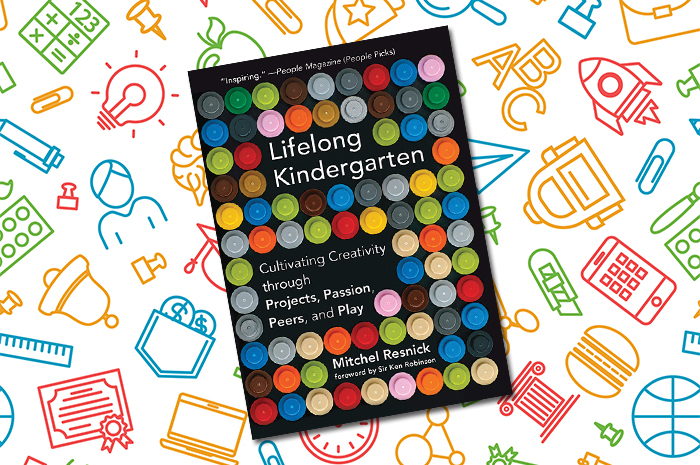 Lifelong Kindergarten is not simply product endorsement, however. It provides a thorough understanding of Scratch but also, more important, of how Resnick and colleagues constructed the program to support the kind of learning they wanted to achieve, and of their challenges and discoveries along the way. A helpful closing section offers 10 tips for learners (No. 8 build, take apart, and rebuild), 10 tips for parents and teachers (No. 9 ask authentic questions), and 10 tips for designers and developers (No. 9 control the design, but leverage the crowd). The strategies explored are instructive for all readers. Robin Tatu is Prism‘s book editor.